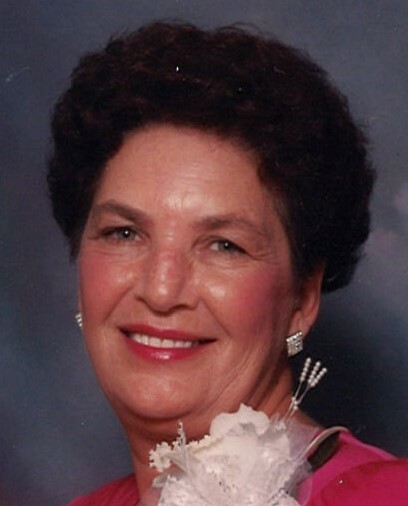 Audrey L. Goldin, 84, of Carrollton, Georgia passed away Friday morning, November 23rd, 2018, surrounded by family. Mrs. Goldin was born in York, South Carolina, September 13th, 1934, the daughter of the late Thomas Drayton Jenkins and Violet Marie Jenkins. She was married December 5th, 1961 in Okinawa, Japan, to the love of her life Tommy C. Goldin for 56 beautiful years and who preceded her in death by 10 months. She was a proud employee of the Bell South Companies for 31 years, retiring effective January 1993. She started with the company in Chicago, IL and transferred 5 times with stops in California, Texas, New Jersey, Carrollton & Newnan Georgia. She developed several longtime friendships that continued until her passing, with the “Bell” girls getting together once a month for lunch. She loved her work family! She enjoyed spending time with her family and friends, monthly beach trips for over 20 years and shopping! She was just a joy to be around. She was a strong and brave woman who faced each day with gratitude and a smile. She will truly be missed! In addition to her parents and husband, Audrey was preceded in death by 3 brothers Thomas, Thurman and Roy Jenkins of North & South Carolina, sister and brother in law, Ann & George Munzer of Chicago, IL.She is survived by her daughter Cindy Goldin Anderson and several other family members. Memorial service will be held on Friday, November 30th, 2018 from 2 PM with Tommy L. Goldin officiating. Location is the Stewart House Chapel, 102 South Street, Carrollton, GA. Visitation will be from 1-2 before the service in the same Chapel. Hutcheson's Memorial Chapel & Crematory of Buchanan has charge of the arrangements.